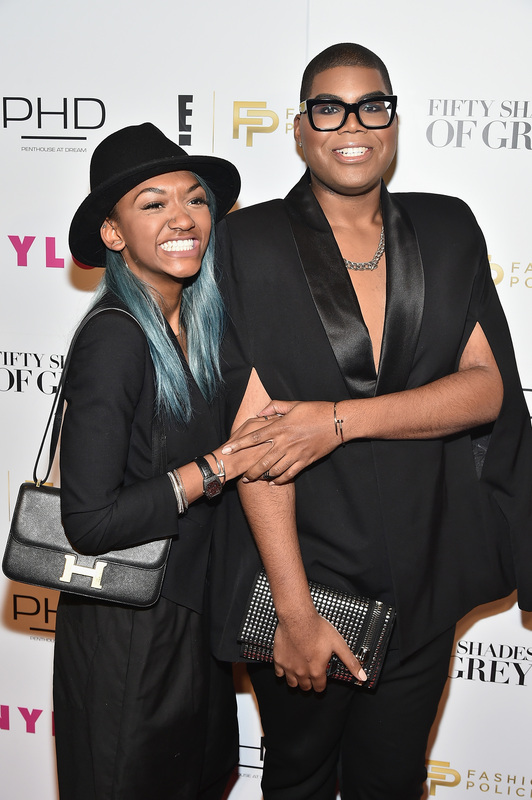 Fans of #RichKids Of Beverly Hills know EJ Johnson and his fashionable persona pretty well. But now that he’s getting his own spin-off, EJNYC, we’re about to meet another member of the Johnson clan — his little sister, Elisa. According to E! News, Elisa is a student at New York’s Fashion Institute of Technology, and she’s got as much style and sass as her older brother. We’ve seen glimpses into EJ’s money on #RichKids Of Beverly Hills, but what is his sister Elisa Johnson’s net worth? For those of you who don’t know, EJ and Elisa’s father is Earvin “Magic” Johnson, basketball player extraordinaire. He played with the Los Angeles Lakers for 13 seasons, and he’s kind of a big deal. Between endorsements, investments, and basketball money, Magic is worth a pretty penny. According to website The Richest (which was the best website I could find for this sort of thing), Magic is reportedly worth more than $500 million. The website reported that the NBA star has partnerships with 24 Hour Fitness, AMC Theaters, and Starbucks, to name a few, and that he’s invested in all kinds of real estate and underserved markets. Makes sense to me how he could have all that money. Since Elisa is still a student, I’m going to venture to say that she doesn’t have much of a net worth. College is college, even in New York City, and I’m going to assume that she’s getting most of her money from her family — maybe not quite $500 million worth, but she’s definitely not hurting for cash. In fact, her social channels are quite indicative of that. Let’s take a look at the cool adventures Elisa is showing off on her Instagram. Especially with Chanel! Her many outfits of the day show everything from a Chanel visor to the ubiquitous black quilted bag, which is so not the book bag of an average college student. The youngest of both their clans, I think that Kylie Jenner and Elisa must understand each other on a much deeper level. Or maybe they just like to try boots on together. EJ and Elisa are real jetsetters, going from Capri to St. Tropez to Laguna Beach and back. I can only imagine the stamps on their passports. Can you guys take me with you next time? I travel light. I can’t blame the girl — if I could spend all of my time in one department store in New York City, it certainly wouldn’t be Macy’s. It would be Barneys. I’d sleep in the cashmere coats and try on all the shoes. Maybe that’s what Elisa likes to do, too? I get a manicure and the whole thing flakes off in like 15 minutes. Elisa gets super cool metallic nails and looks awesome. Sometimes, the world isn’t fair. Wherever Elisa Johnson gets her money, she is definitely living her best life.